We studied the long-term impacts of natural burning on herbaceous species diversity 37 years after a fire occurred in the Roudbar forests of Guilan Province, northern Iran. Numerous studies have examined short-term changes in understory vegetation following wildfire; however, very few long-term studies are available or changes inferred from retrospective studies based on chronosequences. 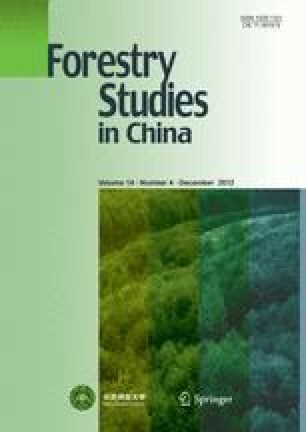 For this study, 170 ha of forest (85 ha, burned areas; 85 ha, unburned areas) were surveyed. Because the 1000 m2 plots were too large for detailed measurements of herbaceous species, we determined a sub-sample size according to the Whittaker’s nested plot sampling protocol and minimal areas method. Hence, sub-plots of 32 m2 were used for herbaceous species measurements, which consisted of percent cover of each species based on the Domin criterion. We measured plant diversity (Shannon-Wiener index), species richness (Margalef’s index), and evenness (Smith-Wilson index). Mean percent cover, together with diversity, richness and evenness, increased markedly in burned areas compared to unburned controls. This suggests that the biodiversity of these forests could be restored within 37 years after fire. However, the abundance of invasive species such as Rubus fruticosus and Bromus benekenii increased significantly in burned areas, but these could be controlled by relevant silvicultural operations.